The dentist will see you now -- inside a jail cell. A city man was arrested this morning for allegedly practicing dentistry without a valid New Jersey license inside his 17th Street home, police said. 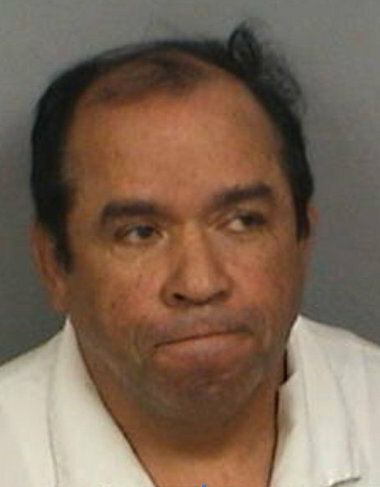 Jairo Echavarria, 60, was charged with unlawful practice of dentistry, possession of a controlled dangerous substance, and possession of drug paraphernalia, officials said. At 9:30 a.m., members of a task force comprised of Union City police officers and agents with the state Attorney General's Division of Consumer Affairs arrived at Echavarria's 17th Street residence and an undercover AG agent went inside pretending to be a patient, reports said. The home had a waiting room and the office had a dentist's chair, overhead lighting, and a variety of other dentistry tools, authorities said. As soon as Echavarria asked the undercover agent to open her mouth, she told him he was under arrest and processed him without incident, police said. Gov. Paul LePage has signed into law a bill that could expand dental care in underserved parts of Maine. The new law allows independent-practice dental hygienists to take X-rays and own radiograph equipment. Under the law, the X-rays must be read by a dentist within 21 days. Republican Rep. Heather Sirocki of Scarborough, who co-sponsored LePage's bill, says Maine has a shortage of dental care. Sirocki, a registered dental hygienist, says the primary reason for visits to emergency departments is dental pain, costing millions of dollars every year. Sirocki says the pilot project authorized by the new law will expand more affordable dental care to underserved parts of Maine, often in rural areas. Maine has about 40 independent practice dental hygienists and another 10 or so who have certifications pending. San Antonio police arrested a woman in connection with a theft case that also involves her husband. Melony Martinez Oatman, 39, was arrested Thursday and charged with theft. Her husband, 42-year-old Ty Oatman, was arrested earlier this month after he was accused of selling stolen dental equipment. According to an arrest affidavit, a television news report about Ty Oatman is what led police to also look at his wife. The UT-Health Science Center Police Department conducted the investigation. The affidavit stated they believe the couple was taking old dental equipment from the center and reselling it to other dentists.